In my next few posts, I want to cover what drives our obedience to God. In this first post, I need to lay the theological foundation before talking about what does and does not motivate our obedience. In John 15:4-5 we are told that the branch cannot bear fruit unless it abides in the vine. 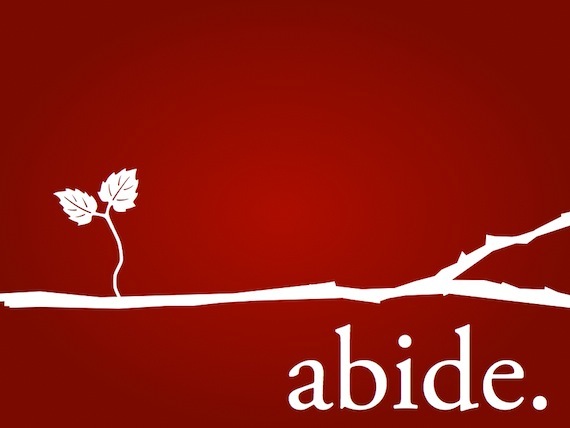 In this parable, Jesus represents the vine and we represent the branch, which means we cannot bear spiritual fruit unless we abide in Christ; we cannot obey His commandments unless we abide in Him. In means that we are His disciples; that we believe His gospel message and in so doing, we enter into a relationship with Him. But more than that, it means that we are in union with Christ. We are joined together with Him, so that who He is we are. There are two ways in which we are in union with Christ. The first is a representative union and the second is a living union. In order to understand the living union, we must first discuss the representative union. Today, we will look at our representative union with Christ and in a future post I will discuss our living union with Him. My hope is that a proper understanding of our representative and living unions will be what drives, or motivates, our obedience to God’s commands. Romans 5 is especially clear in that both Adam and Jesus are representatives (Rom. 5:12-21 especially 18 & 19). What do they each represent? As a representative, all those whom Adam represents are also sinful, corrupt, imperfect, and unrighteous. As such, their relationship with God is hindered because a holy God cannot have a relationship with sinful man. As a representative, all those whom Jesus represents are also holy, sinless, perfect, and righteous. As such, they have fellowship with God, whereas those whom Adam represents do not. If Romans 5 tells us both are representatives, who then does Adam represent and who does Jesus represent? Jesus represents all those who profess Him as their Lord and Savior (Rom. 5:18-19, 21). For our sake He (God) made Him (Jesus) who knew no sin to be sin, so that we might become the righteousness of God. So we see that Jesus, the one who knew no sin, took our sin on Himself, so that those who are “in Him” who are in union with Him, who believe in Him as their Lord and Savior, will become righteous. In theological terms, we would say that Jesus’ righteousness is imputed or attributed to us on the basis of our belief in Him as our Lord and Savior. If we are made righteous by Jesus’ righteousness being attributed to us and by no other way, what are the implications? Only through Jesus’ work on the cross are we saved because sinful man can never do enough to make himself holy. It took the perfect sacrifice of Christ being credited to our account to make us holy. In other words, we are only holy because Christ’s blood covers our sins. Since we cannot offer a perfect sacrifice, nor are the works of sinful man seen as worthy, we cannot ever work our way to God. God accepts Christ based on His righteousness, and Christ’s righteousness is attributed to us, when we believe in Jesus as our Savior. This means God doesn’t love us anymore than He does right now and always no matter what we do for Him because God loves Christ perfectly and His account has been credited to us. There is nothing more we can do to earn His favor or earn more of His Grace. We are given Christ’s righteousness, and Christ’s righteousness is perfect. However, we often live as if we can earn God’s favor. What are some things we do that we might believe will earn favor with God? Try as we might, these things do not earn us favor with God. The only way we earn favor with God is through our union with Christ. Since Christ is perfectly favored and accepted by God, we are perfectly favored and accepted by God. We do not have to earn God’s acceptance. God perfectly accepts Christ, and being in union with Christ as our representative means God perfectly accepts us as well. We learn from these three implications of Christ’s righteousness imputed to us that our works do not earn our salvation, our works do not earn us favor with God, and our works do not earn us acceptance with God. The Gospel tells us that in Christ, there is nothing we can do that would make God love us more, and nothing we have done that would make Him love us less. Only by abiding in Christ are we made righteous because only then is He our representative head and only when He is our representative are His attributes and works attributed to us. In my next post, I will discuss how our obedience to God is motivated out of a sense of gratitude, which stems from a proper understanding of and reflection on our salvation.